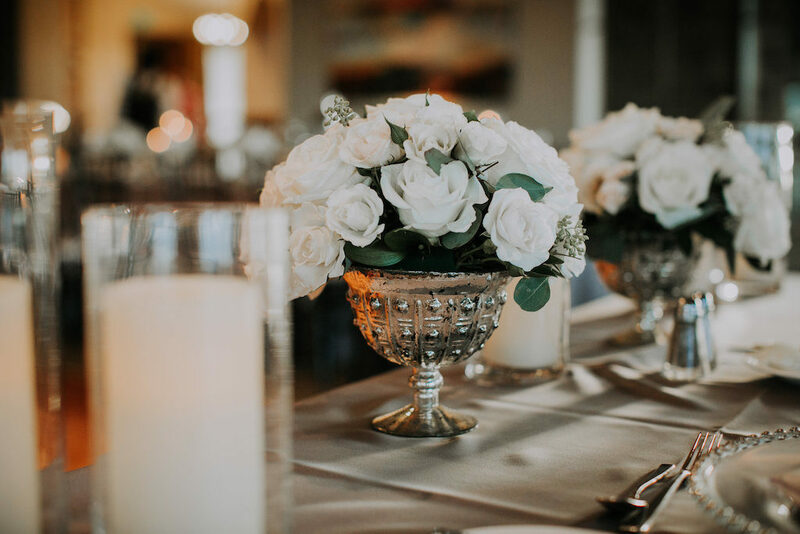 Silver, navy, and white is such a beautiful combination for glamorous themed weddings. 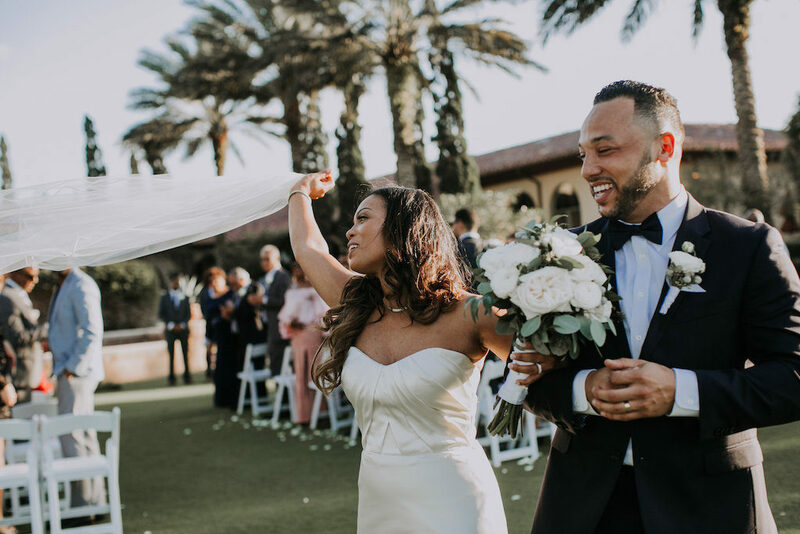 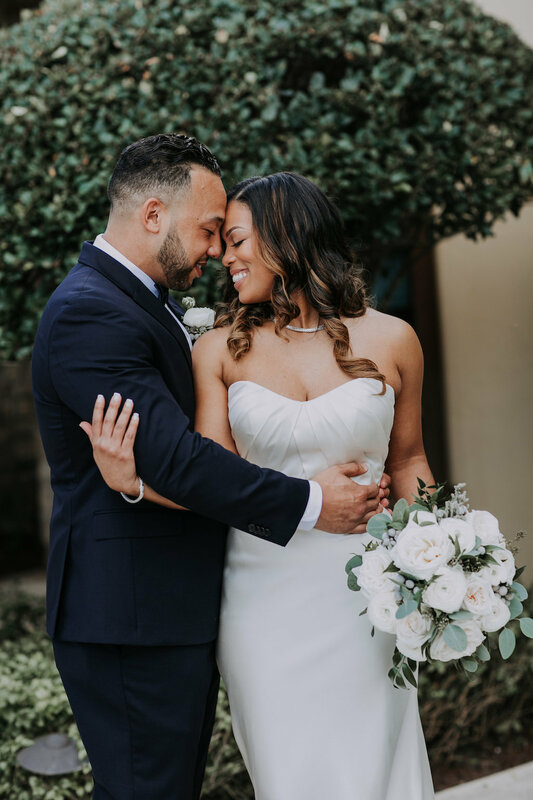 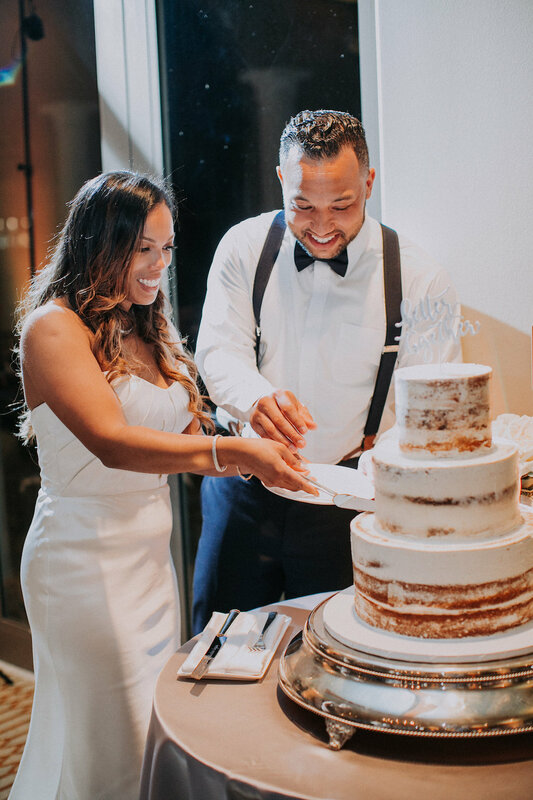 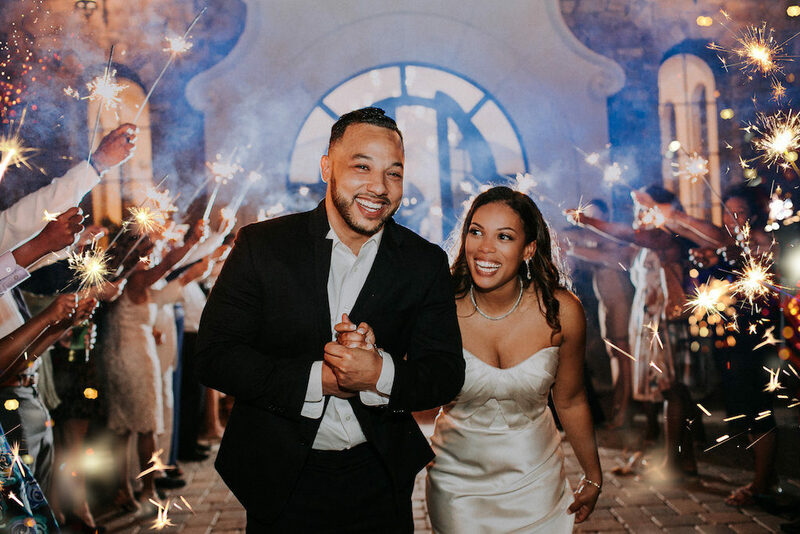 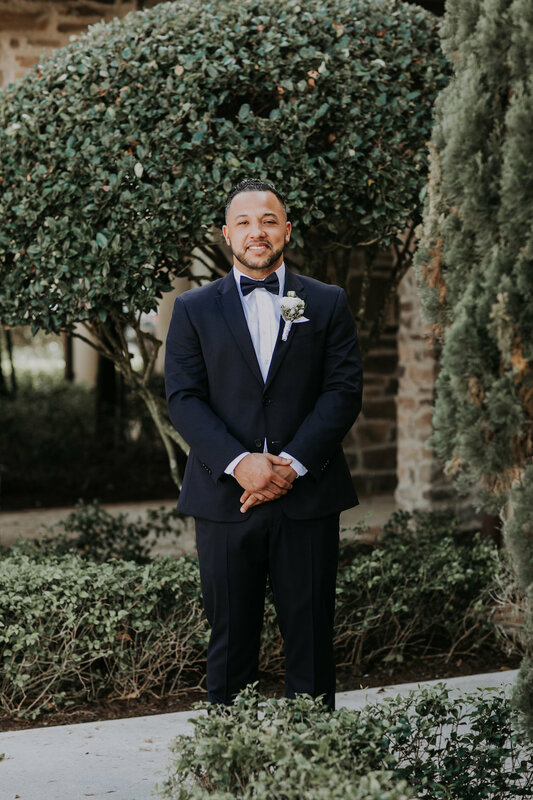 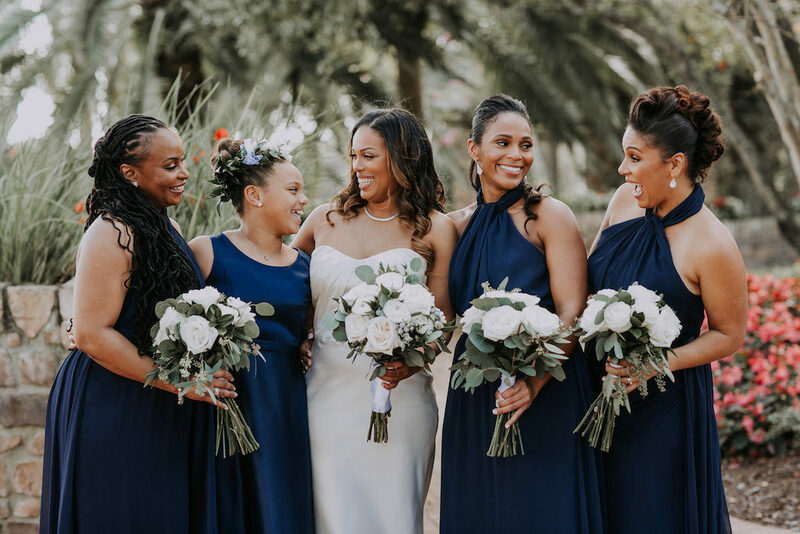 Daneele and Jacque truly stepped in style with an all-white rose, navy and silver accented wedding at the Parkland Golf and Country Club. 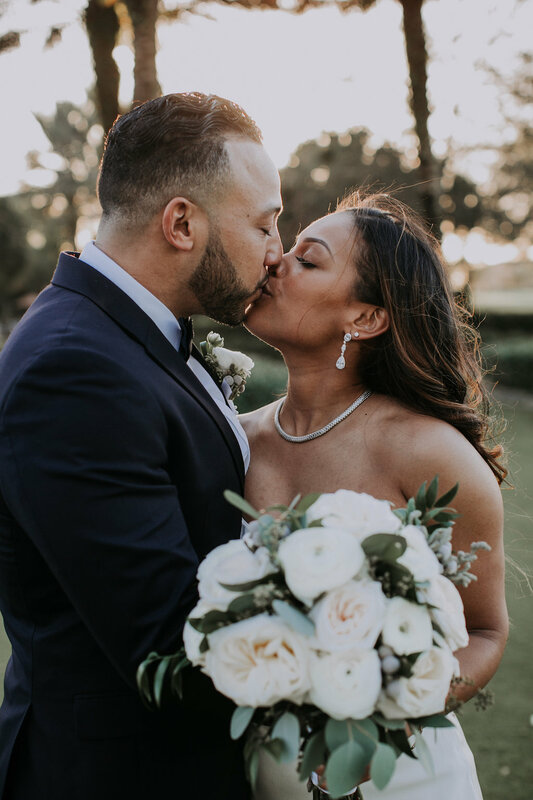 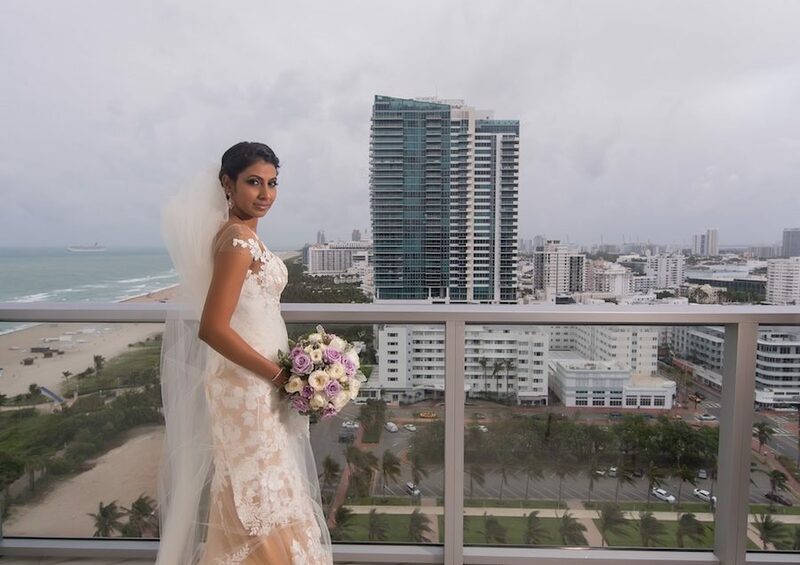 The gorgeous bride walked down the aisle in a minimalist gown with a scrunched sweetheart line yet still captured the attention of the crowd with her radiant beauty and the silver accents on her jewelry. 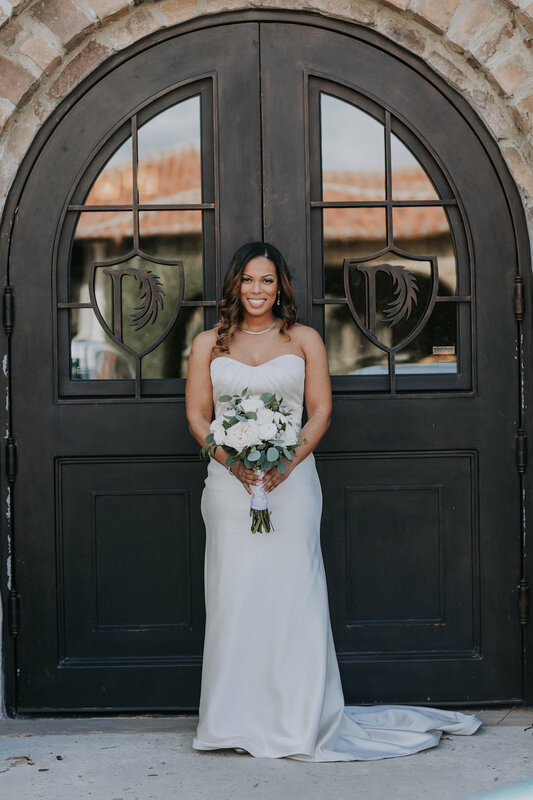 Although matching the white gown, her bouquet stood out and tied in the perfect wedding look with a flowing green base and pops of white roses. 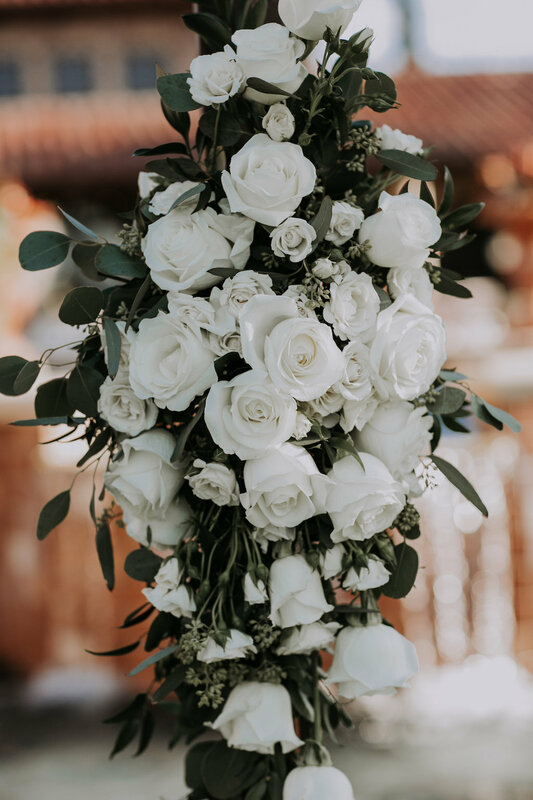 The same opaque green leaves were used to line a single white rose for the men in the bridal party. 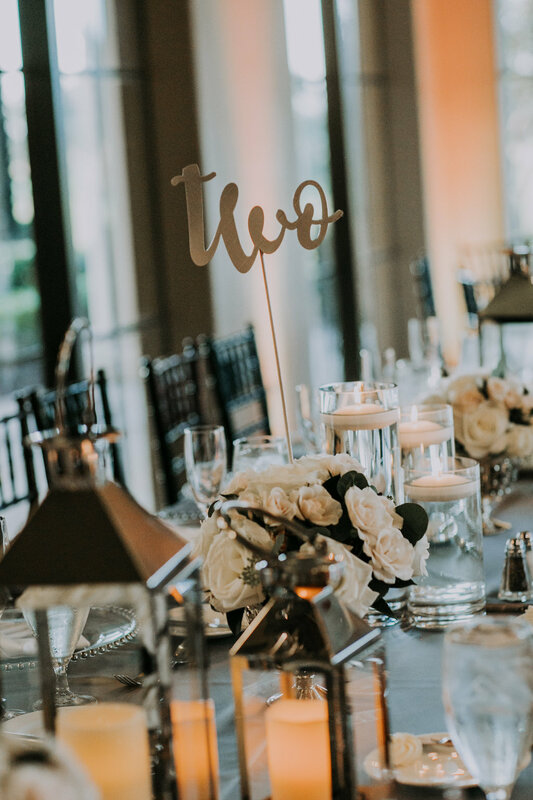 From bouquets to decor, flirty florals can be found at almost every sight. 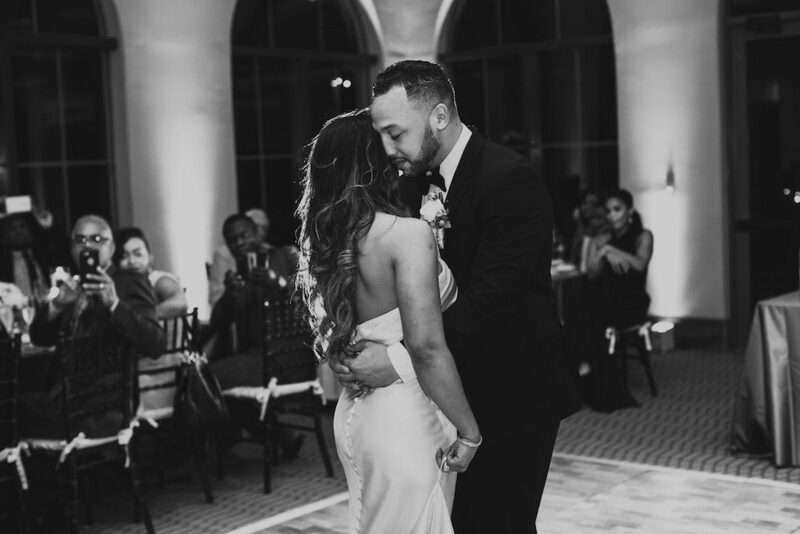 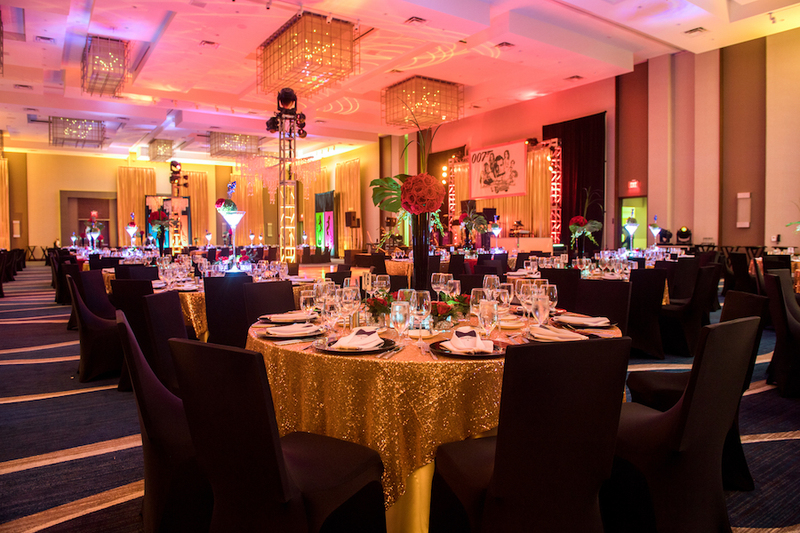 The venue allowed natural light to radiantly shine above the couple-to-be. 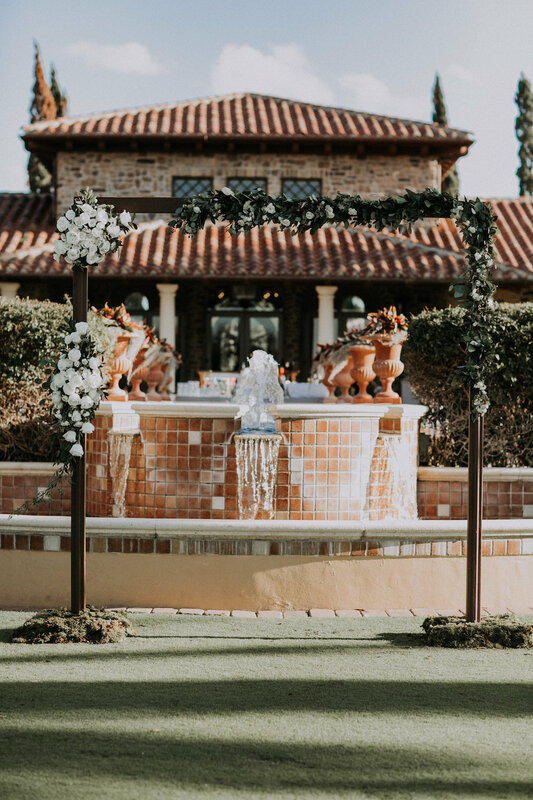 The path to the altar was paved with matching white wooden chairs on either side and rose petals lining the center. 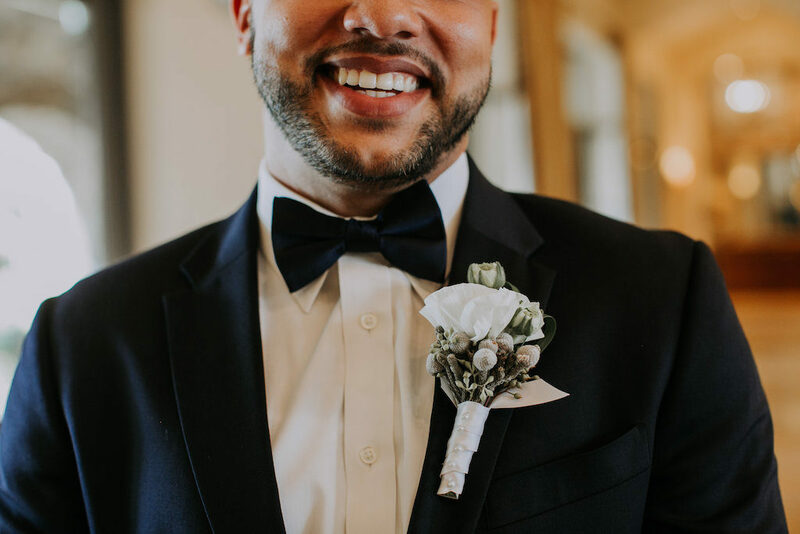 The altar itself shadowed the groom who was gleaming with joy as he saw his future wife approaching. 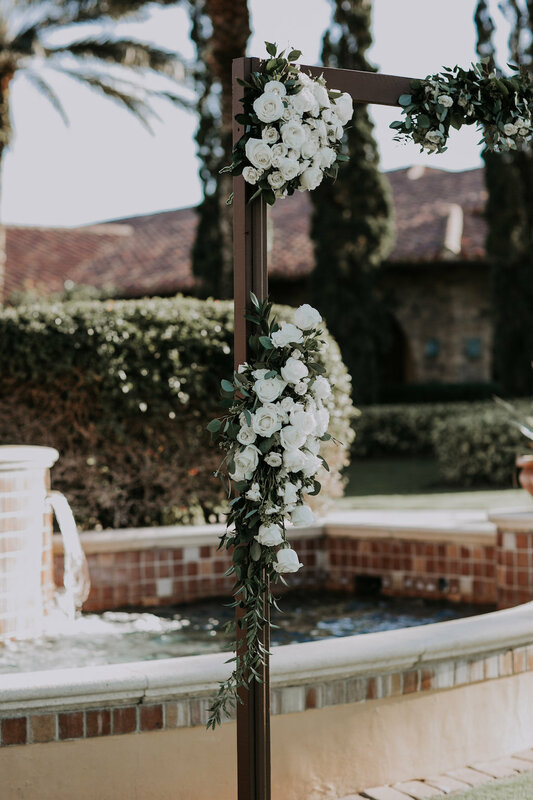 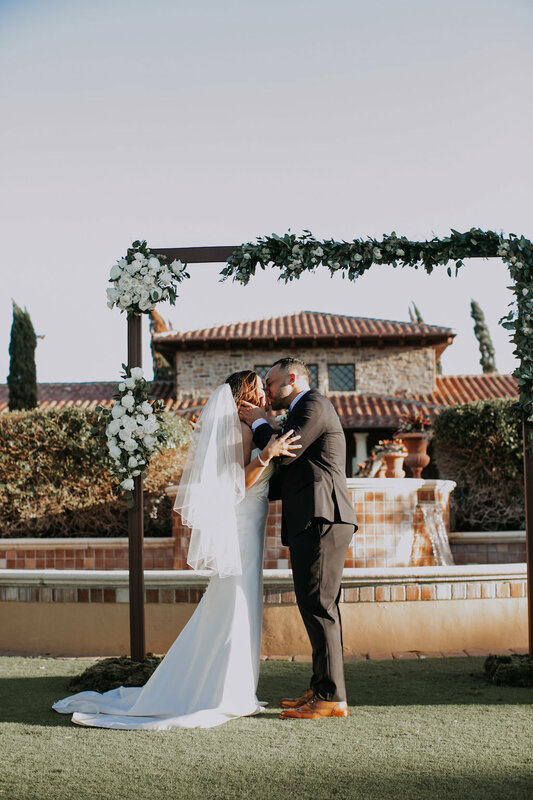 A classy, minimalist style was also added with clusters of leaves and white roses bunched together to simply drape the wooden arch that perfectly framed a fountain and a river of tall bushes. 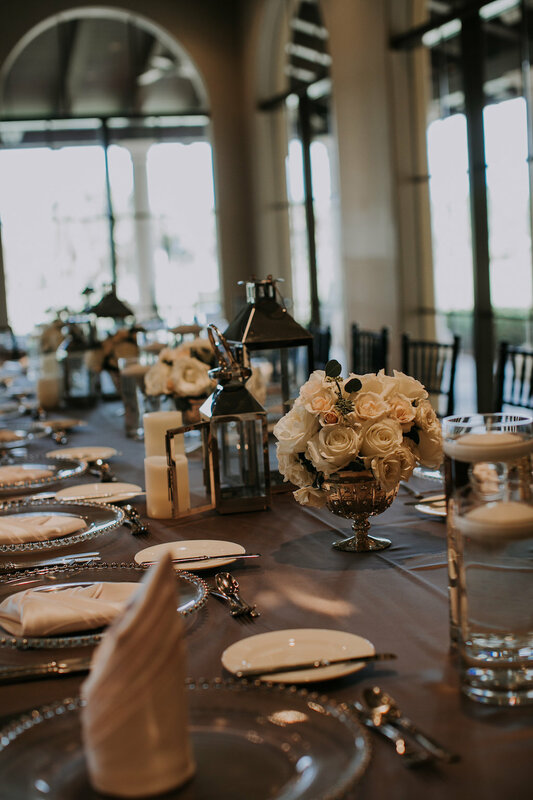 The white-rose wedding held a heavenly feel with the addition of rustic decor and white and silver china. 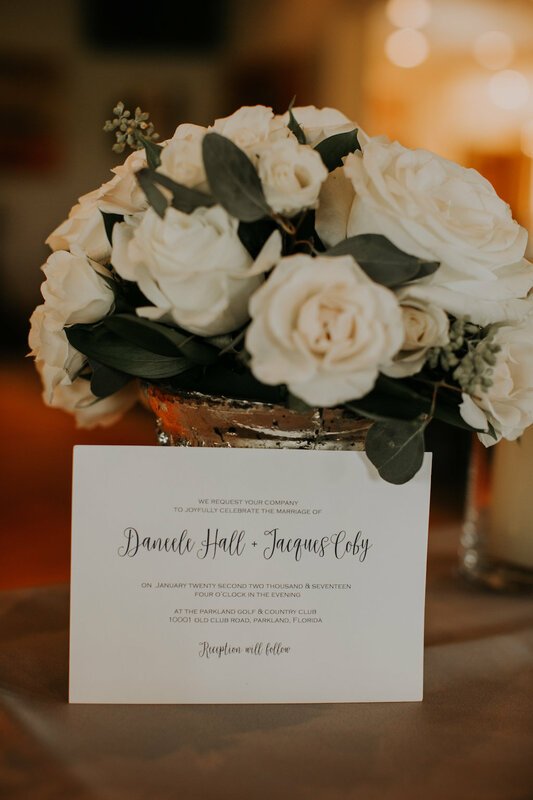 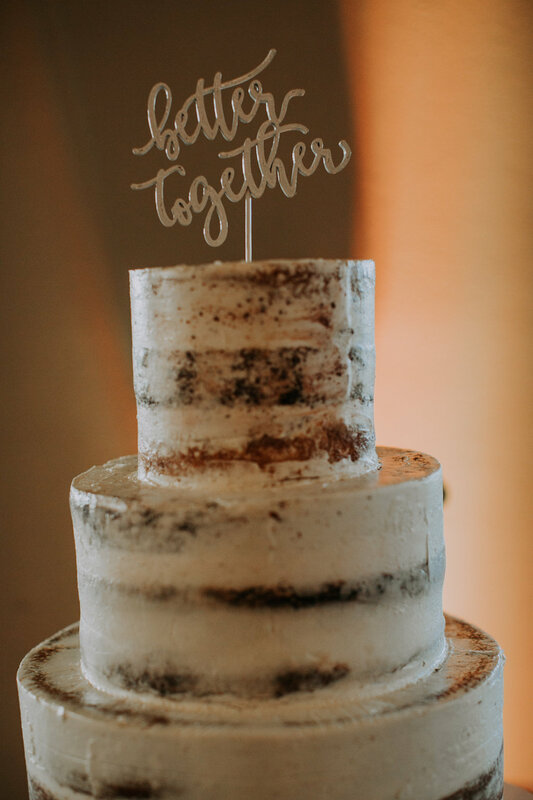 Each table at the reception had a combination of floating candles, brown birdcage candle holders and cursive number plates that sat in bouquets of the same white roses. 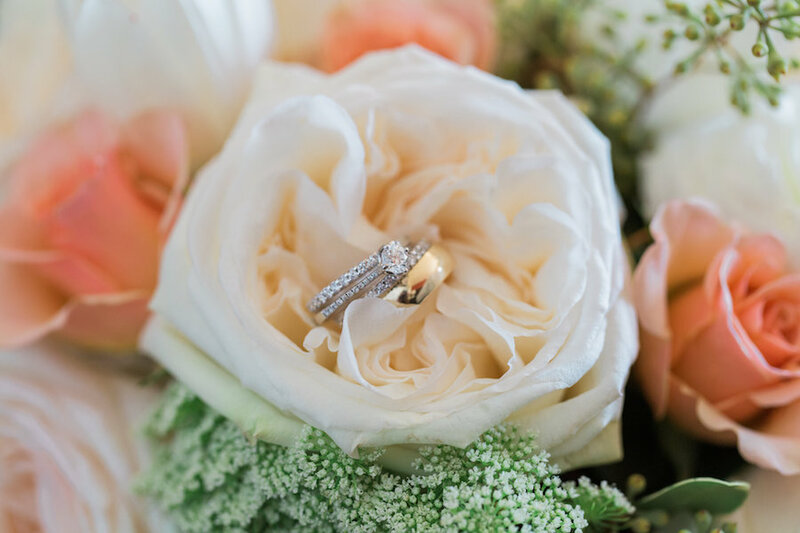 Guests were also gifted with small wooden boxes filled with baby succulents to take home. 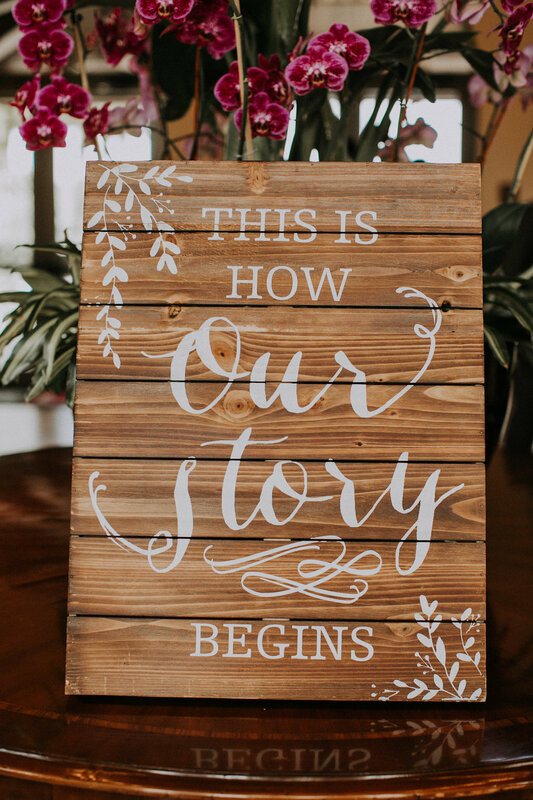 A unique interactive decoration was the wooden frame that held the names of each family and their assigned seat. 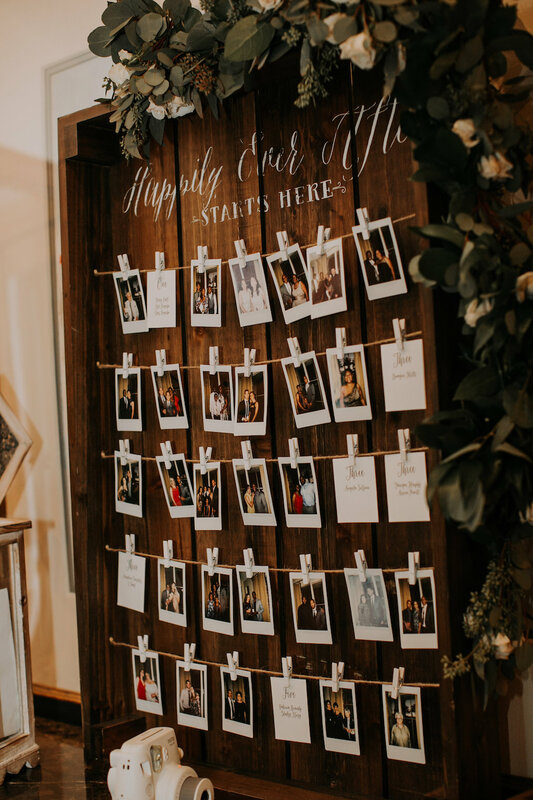 As guest arrived they had the opportunity to take a polaroid to replace their name tags.